In 2017 our honeybees are responsible for the pollination of over 8 billion local flowers! Each jar of 320g of Miel Mtl honey contains 1.5 million local flowers. Our 86 beehives are responsible for over 1 million local honeybees. We work solely with docile honeybee species as well as we do inspections regularly to maintain the health and well-being of all our honeybees! Each colony has its own queen bee, she is responsible for the genetic diversity of that colony (~50,000 bees). She can lay up to 2000 eggs a day (~200,000 bees per year!) Furthermore there's many different species and subspecies of honeybees, each being unique in terms of characteristics! 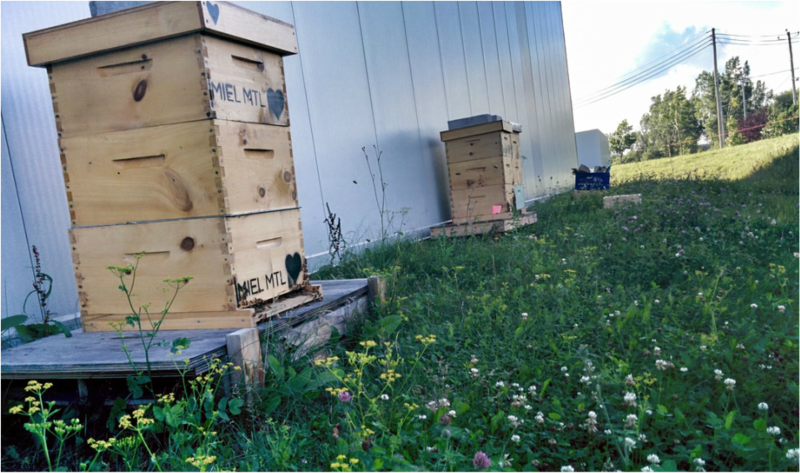 Here at Miel Mtl we raise many different queens and species of honeybees to choose the best suited and adapted for the city. The criteria of selection is based on: Temperament, Honey Production, Comb Production, Brood Patterns, Disease & Pest Resistance, Hygienic Comportment & Vigor. If a colony demonstrates signs of aggression or bad temperament we change queens & the genetic diversity; Additionally we have the capability to close, move and/or change the beehive colony. All our beehives are well identified and maintained. Miel Mtl and all our bees & beehives are registered with the Ministry of Agriculture of Quebec (MAPAQ). We are also registered with the Quebec Registraire des Entreprises. We keep all our records and journals up to date and with us. Our objective is to work with and to benefit the city of Montreal, the citizens, the honeybees, the neighborhoods, the local businesses and the ecosystem. Since our debut we have never had any complaints and we constantly in communication with other beekeepers in Quebec and Ontario as well as with the public to best stay informed and up to date.